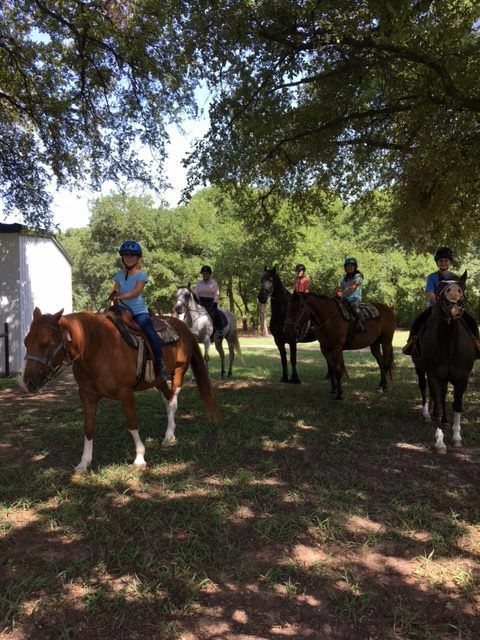 Our lesson programs are designed to take children on an ideal horse riding adventure! Each child receives individualized, safe instruction and customized activities to fit their learning styles and physical abilities. Our instructor has a wealth of patience, experience, professional and teaching ideas! 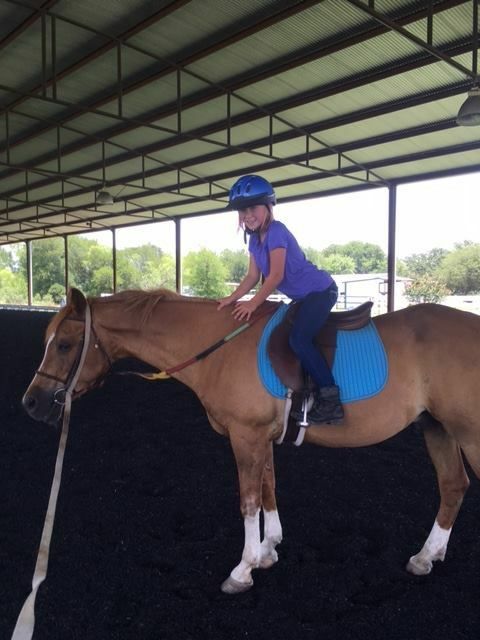 Students learn balance, steering and finding their cadence and rhythm on the horse. Safety and personal attention provide a fun and learning filled experience for each student. 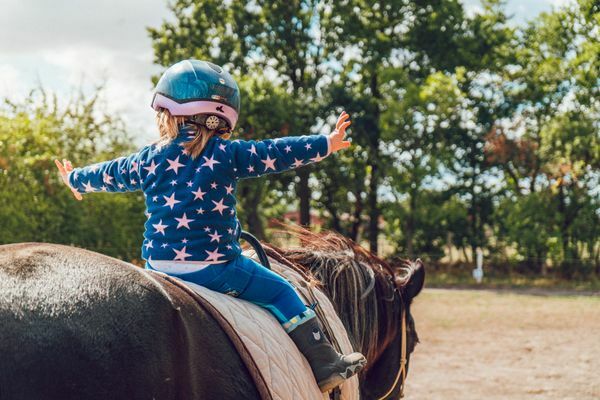 Riding ability and progression at this age depends a lot on interest, attention, physical strength and coordination, and the ability to listen to instruction. Students will be periodically evaluated to determine skill advancement through the levels. The instructor will make recommendations as to when student may move to advanced hunter/jumper instruction or dressage instruction. All students are welcome to join and participate in the Dressage For Young Riders Program (DYRP). 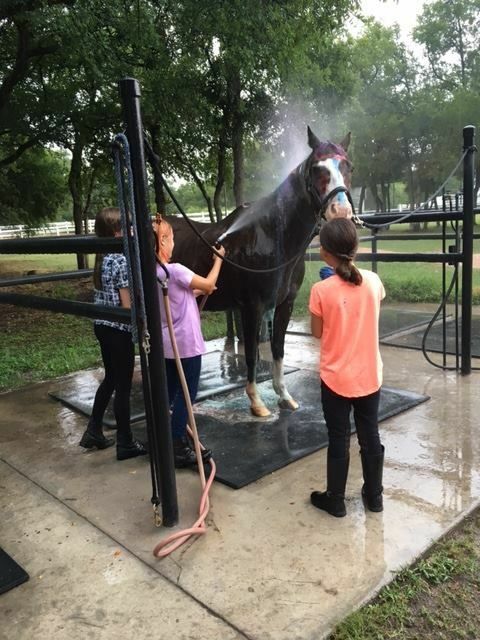 Our program provides education and riding opportunities beyond lessons. 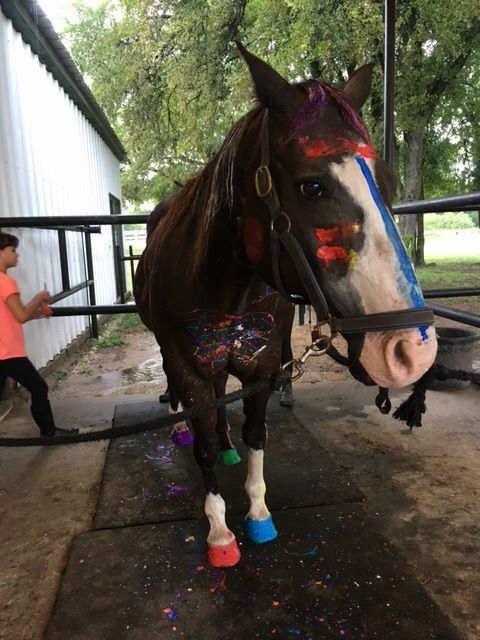 Our goal is to work with dedicated riders who desire to improve their horsemanship and riding skills that will take them to college, become trainers, and if desired, become the high-level competitors of the future. Dressage For Young Riders will be introduced to career opportunities and give them a solid base of horsemanship and classical riding skills that will take them to their goals of becoming trainers, instructors, competitive riders, developing business skills and stable management and technology use in and outside the horse industry. Monthly meetings will cover topics such as stable management, horse health, riding theory, ground work, sport psychology, competition preparedness, physical fitness and marketing and leadership. We will participate in home, local, regional and (if qualified) in national competitions. Our goal is to develop young riders (adults are welcome to participate as well!) into the well-rounded horse people that will be the future custodians of this wonderful sport. Ms. Daemie Kennedy is our Director for Dressage For Young Riders and comes highly qualified. Daemie is a USDF Bronze and Silver Medalist and an ARIA Certified Instructor Level 1 and 2 in Dressage. In addition, she is professional member of United States Pony Club (USPC). 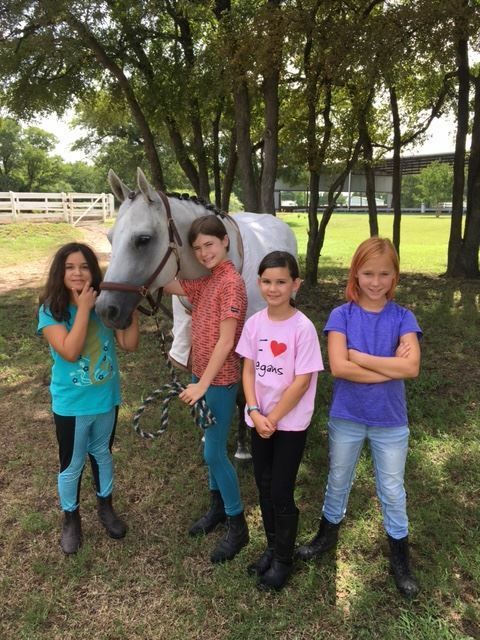 Daemie's philosophy for riding is to have fun and build relations with each other, and with the horses, to have an ongoing commitment to the sport, be role models and demonstrate good sportsmanship. 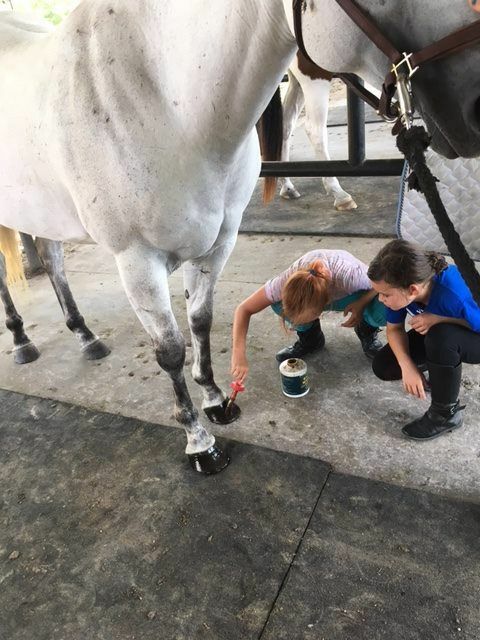 She encourages students to be part of the USDF and/or the Junior/Young Riders Programs which offer opportunities of scholarship and mentoring through regional and national programs. 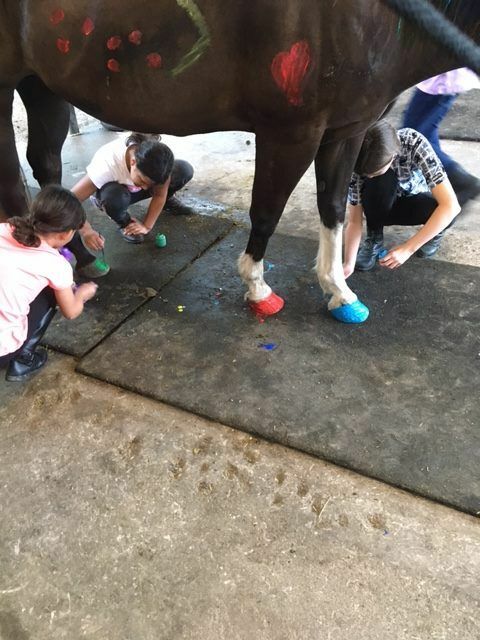 These horses and ponies will be assigned to a specific student for that student to achieve their goals, while the horses and ponies receive excellent care. As the student advances and outgrows their assigned mount, they will rotate to the next horse and their mount will now be reassigned, to be loved and cared for by the next student! Our horses and ponies are very happy with their life and job! They make a lifetime impact on each life they touch! 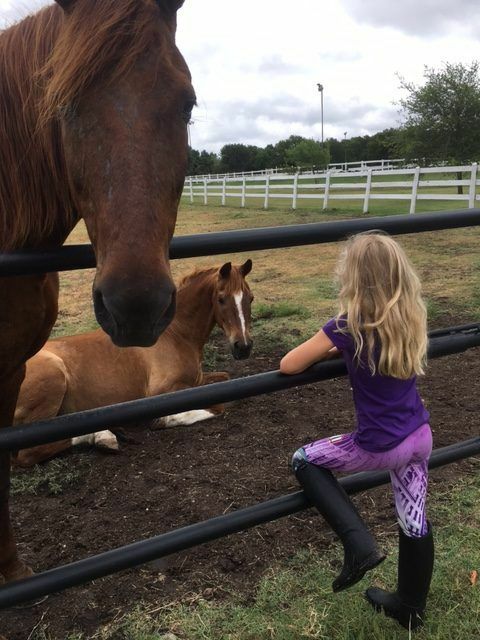 It is our hope that donations of financial support for scholarships and donations of horses and ponies, will support these deserving young riders in pursuit of their dreams of becoming professionals in the horse industry. It takes support and networking to develop these wonderful young people!